Topgyal Tsering Zongkha, the Cabinet Secretary of the Central Tibetan Administration, has been appointed as a new minister in Lobsang Sangay’s administration. Sangay proposed his name as a Minister in the ongoing budget session of the Tibetan Parliament-in-exile, and he was approved by a majority vote with 21 for, 18 against, two invalid, and 1 blank votes. After member Dawa Phunkyi opposed his appointment, the Speaker Pema Jungney called for a vote. An appointment for a minister needs the support of 50% of the members present in the House at the time of the proposal. The support of 21 members out of 43 present came to 48.8%, to which the Speaker explained that 21 is already about half, and decimals don’t count. Soon after Topgyal’s appointment, his portfolio started to be guessed at. Currently, the Department of Information and International Relations (DIIR) is under the charge of Sangay, besides his position as President of the CTA. It is speculated that Topgyal would be appointed the Minister of Health, and the current Health Minister Choekyong Wangchuk would be made the DIIR Minister. Topgyal Tsering was born in 1955 at Latoe Zongkha in western Tibet. His uncle brought him over to India after the Chinese occupation of Tibet. After completing his schooling, he worked as headmaster of a school in Sharkhumbu, Nepal. In 1977, he joined the CTA, working as an accountant at Bir Tibetan colony. He was appointed as permanent staff in 1978. 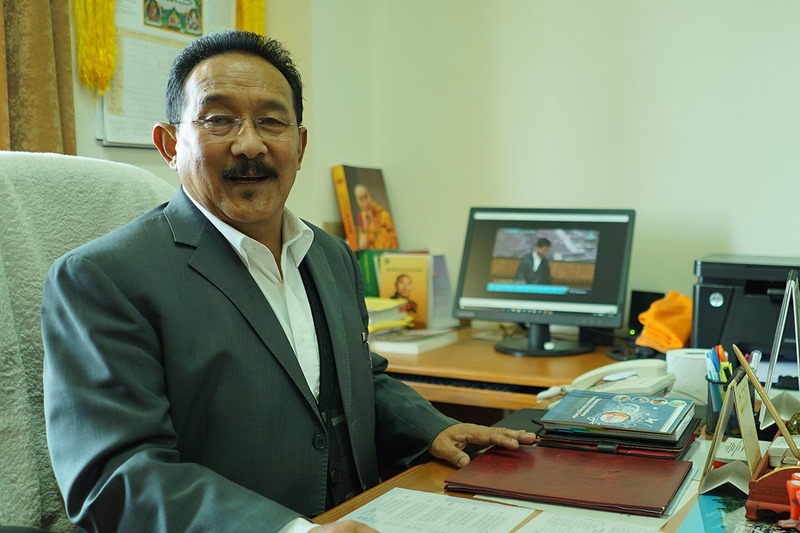 Since then he has served in various Tibetan settlements around India in various capacities for more than 40 years. He has been the Cabinet Secretary since June 2016. Sangay’s second five-year term will end in March 2021. The Tibetan Supreme Justice has poked its nose on appointment of a new Kalon so swiftly this time but the public are more eager to hear their judgement on Lobsang Sangay and Penpa Tsering case. For this they must pay their full and undivided attention and make a correct and uncontroversial decision so that there might not be any violent fracas in the community.